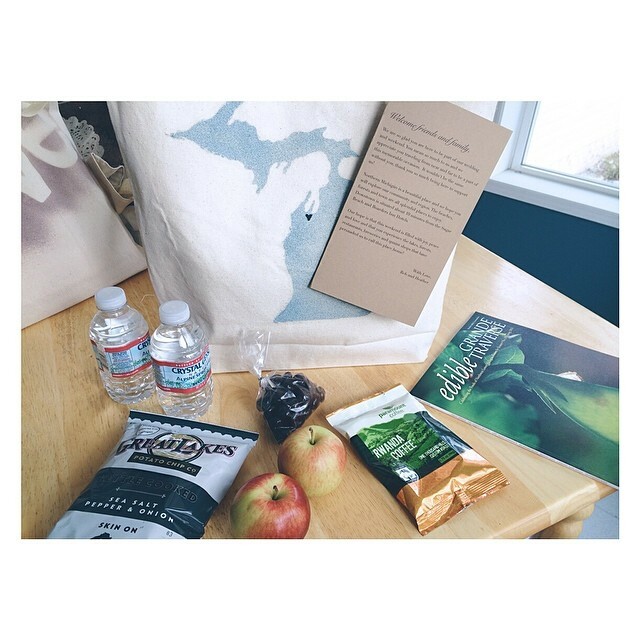 With our home base being in Northern Michigan, we are fortunate to get to share the beauty of "up north" with our clients, who come from near and far. Last September we had the honor of helping to create a special day for Paul & Josef, with especially breathtaking views. 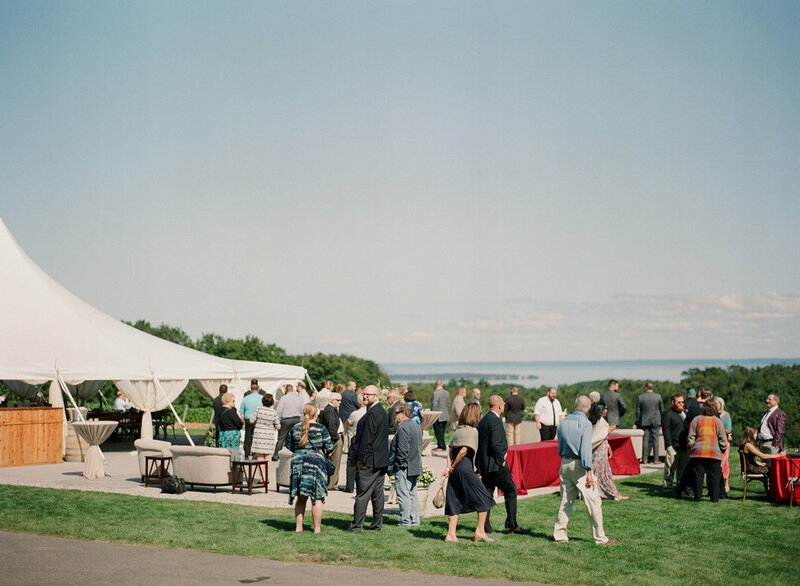 Verterra Winery is the only wedding destination with views of Lake Michigan to the north and Grand Traverse Bay to the east. "Sky and water as far as the eye can see," made for quite the jaw-dropping backdrop! We loved the personal touches that made this wedding unique to the couple, and hope you enjoy this little snapshot of this spectacular day in September, through the lens of the talented team at Weber Photography. 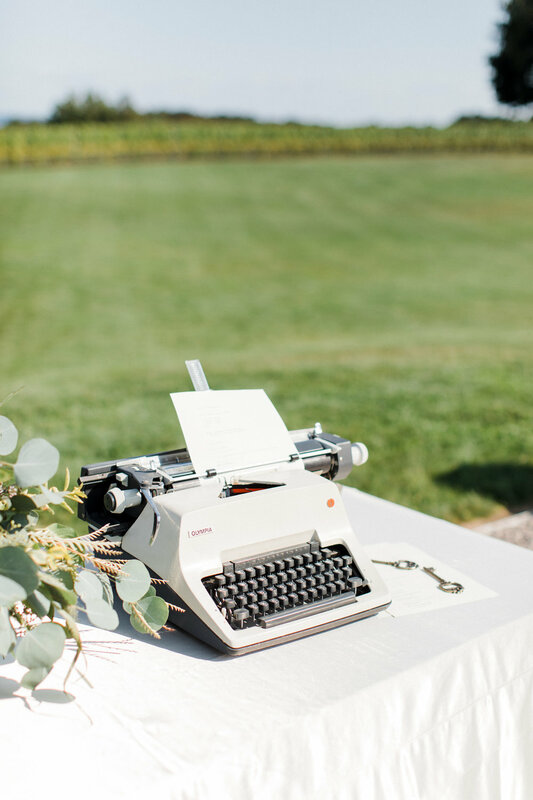 What a treat to have Heather & Reb's wedding featured on Style Me Pretty! They had a picture-perfect day on Arbutus Lake, complete with a rowboat exit and hand made details by the bride infused every where you looked. Was delighted to have Cory & Megan from Weber Photography by my side! See below for more photos from the day and here for the feature on Style Me Pretty. Happy Memorial Day! This week will be busy for us here at SGW prepping to welcome our 2014 summer interns in style on Tuesday, style a spring shoot on Wednesday, and prep for another amazing celebration of love next weekend! Oh, where do I begin with sweet Amy and Jon? These two were a joy to work with from beginning to end. When we first started working together a year ago, I simply knew we would hit it off. Shortly into our planning process I found out we were expecting Rowan, so by the time the big day rolled around I was 37 weeks pregnant! Regardless, their day was simply amazing and captured them perfectly. I was lucky enough to also provide the flowers for the wedding. Check out all those colors! I asked Amy to write a little description of her day... so I'll let the bride take it from here! From the Bride... Our beautiful wedding took place on the shores of Lake Michigan in Elk Rapids, Michigan on the 18th of May, 2013. In the morning gray clouds loomed over the sky while good luck rain sprinkled the ground. It turned into a perfect cloudy day with the temperature being in the 70s and right before the ceremony the sun came bursting out shining down on us. We celebrated the event with our closest friends and family, so our guest count was around fifty people. 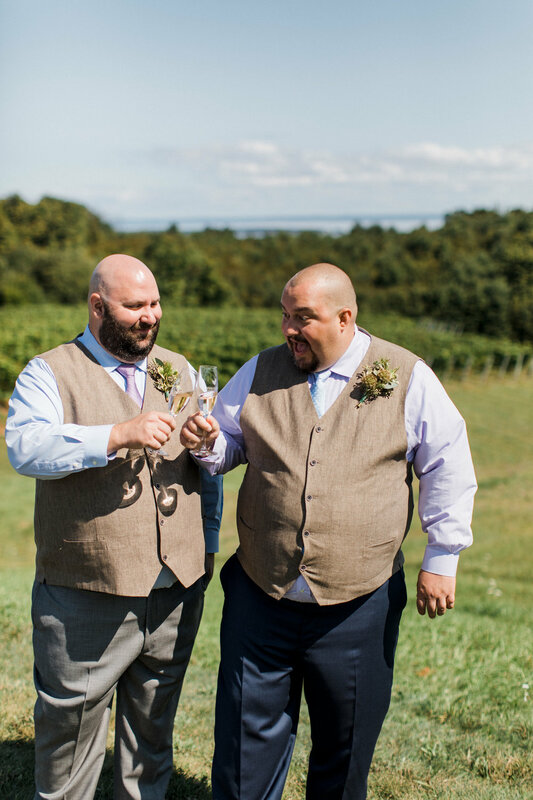 The reason we decided to have both our wedding and reception on the beach at the Elk Rapids Harbor Pavilion was because of my groom, Jonathon. The only request he made about the whole wedding was for it to be on the beach because the beautiful beaches of Northern Michigan always made him think of all the great times we spent there. How could a bride say no to that? Picking the color scheme was a no brainer for me. I always knew I wanted orange lilies in my wedding bouquet, so I went with orange and blue. I picked those colors because I wanted to keep the wedding fun and lighthearted. With Rachel’s help she guided me towards pastels of a light mint teal and a pretty coral to help keep the romantic wedding feel, because I wanted it to feel like a wedding and not like just another party. For the ceremony we had a special surprise for Jonathon. He always loved Irish music with bagpipes; the boy even has a set of bagpipes of his own! So his mother, Lis, asked one of her friends from Beaver Island to play the traditional song of “Here Comes the Bride” as I walked down the aisle. Jonathon was wearing a tan suit with a pastel blue and orange paisley bow tie; because I think bow ties are just the cutest thing ever. Plus blue really brings out my guy’s eyes! I am a little bit old fashioned and didn’t want to see my groom until the moment of the ceremony. The moment we saw each other a huge smile spread across our faces. I walked toward my man in a beautiful beaded corset dress with a sweetheart neckline. Jonathon said that the combinations of seeing me walk towards him, the bagpipes playing, and the fresh beach air made his wedding perfect. To help captivate the romantic feel to the wedding, my Father built a beautiful white trellis. Rachel came up with the idea to hang different designs of white ribbon so the beach breeze would add to the atmosphere. I asked my MOH’s mother, Tammi, to be our officiant, who happens to be the Magistrate of Antrim County where marrying people was part of her job description. It was also special to me that she conduct the ceremony because I have been best friends with her daughter Maggie since Preschool, and her house was like my second home. Maggie wore a beautiful light mint dress that ended just above her knees. The best man, Jonathon’s brother Andy, wore a tan suit that match Jonathon’s but instead of a bowtie he wore a normal tie made of the same pastel blue and orange paisley material. After the ceremony we opened up the reception area to start serving cocktails while we had our photographs taken. 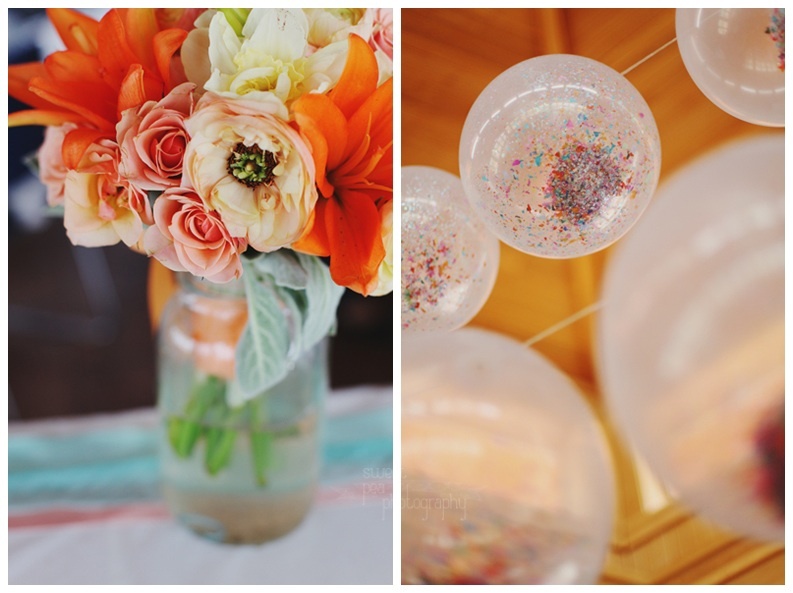 The reception hall was decorated with confetti field balloons, and the tables were lined with white table clothes. On the tables we had teal and corral ribbons going down the center and mixed up the center pieces by either having a vase of flowers or a jar filled of shells and sand. The building itself acted like a decoration because the half facing the water was all glass doors so everyone was able to look out into the lake all evening long. For our food we had Canteen Catering, who did an excellent job. Jonathon and I both love breakfast food, so on our buffet we had Quiche and pancakes! A family friend, Penny, made our amazing wedding cake. It was light blue with beautiful white pearl decorations lining the bottom of all three layers. At the bottom she crumbled up Nutter Butter’s to look like sand and for the toppers she made the most adorable star fish completed with a veil and a bowtie! We kept the flavor for both the cake and the frosting vanilla because Jonathon and I really enjoy the simple desserts instead of trying to squeeze a bunch of flavors into one bite. On our drinking menu we had red and white wine, Labatt beer, and water and fruit punch. For the toast we had a specialty drink of mimosa’s to help make the moments special. The dance floor was one of the highlights for the night because we had glow sticks available to help make dancing more fun. Even my grandparents were out on the dance floor! Our photographers, Sweet Pea Photography and Deak Photography, captured some great action shots, that helped complete the beautiful and fun photo album they created. To exit the ceremony, I owe a special thanks to Rachel, who helped make that moment special. I originally wanted a sparkler sendoff but since we were out in the Elk Rapids Pavilion that was not a possible, it was one of the restrictions of holding the event there because of the gas lines running underneath the building. Rachel told me not to worry about it, she had an idea. As we walked thru our row of friends and family everyone popped a confetti popper so brightly colored paper rained down on us as we left, it was a perfect ending that made my wedding really feel like a dream come true! Amy and Jon... you deserve a lifetime of happiness. I am so thankful that I got to be a part of the day you made a commitment to forever. A huge thank you to the amazing vendors that helped us pull all this together! 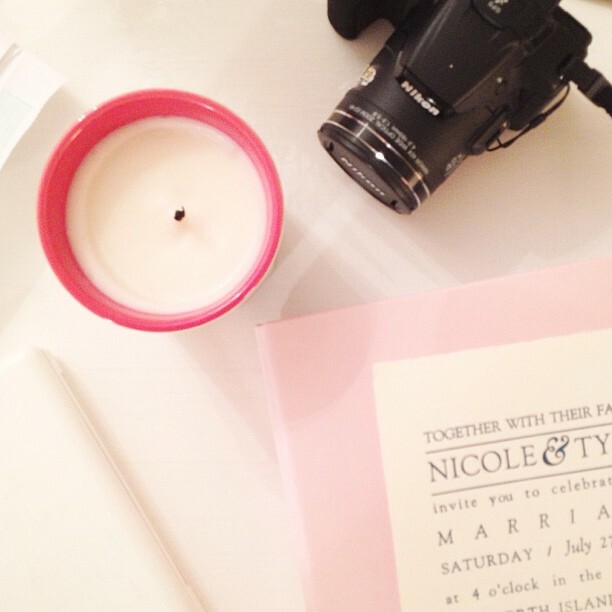 Sneak Peak: Nicole & Tyler's Big Day! Wow, what a weekend! I just wanted to pop on over and share some previews that I posted on Instagram over the weekend. Nicole, you were such a beautiful bride. I can't thank you enough for having me a part of this day. Between wind, rain, a newborn sidekick, rental car fiasco, losing my cellphone and more... we pulled it off. And I couldn't be more proud. The sun was shining brightly and the newlyweds danced the night away. A huge thank you to everyone who helped me out on Saturday, you know who you are! I can't wait to showcase more photos from the day. I mentioned in a previous post that I first draw inspiration for people, from real life. So after my visit with Nicole and Tyler this weekend I was left incredibly inspired by their vision. Aside from being their planner & coordinator for the day, I'm heading up the event and floral design. Pinterest was my best friend when putting together their proposal. Here's a little sneak peak! Isn't it gorgeous? Nicole envisioned a setting filled with nature, their ceremony will be in a garden and reception in an outdoor pavilion in the woods. We're going to up the glam factor with candles, elegant ceiling drapery and delicate white and peach blooms in metallic footed bowls. Expect tons of lush greenery and garland and even more sweet little details... like the letterpressed invitation suite they designed and printed themselves at an open letterpress studio in Ann Arbor. Amazing. It's an honor and privilege to pull a wedding design together for these two lovebirds! I don't want to give too much away but you can bet on an amazing day in July. A little teaser... Amy & Jon's Wedding Day on the Bay! 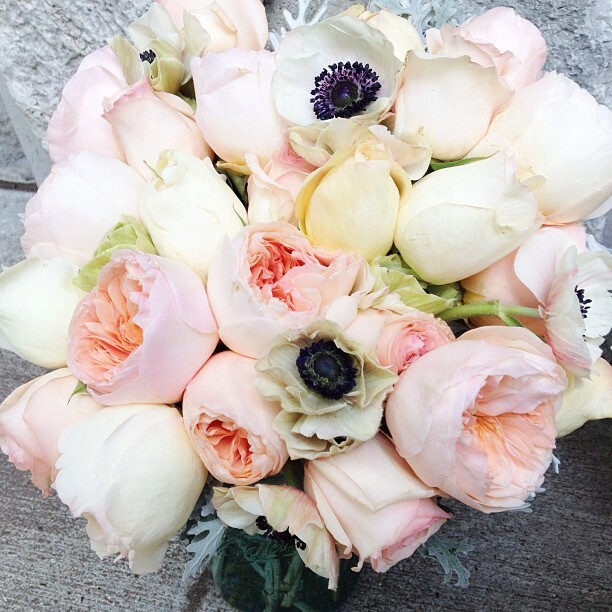 I love planning weddings & designing flowers. Unapologetically, without restraint, with not one bit of hesitation, I love what I do. This weekend was so perfect. It reminded me why I love this profession so much. 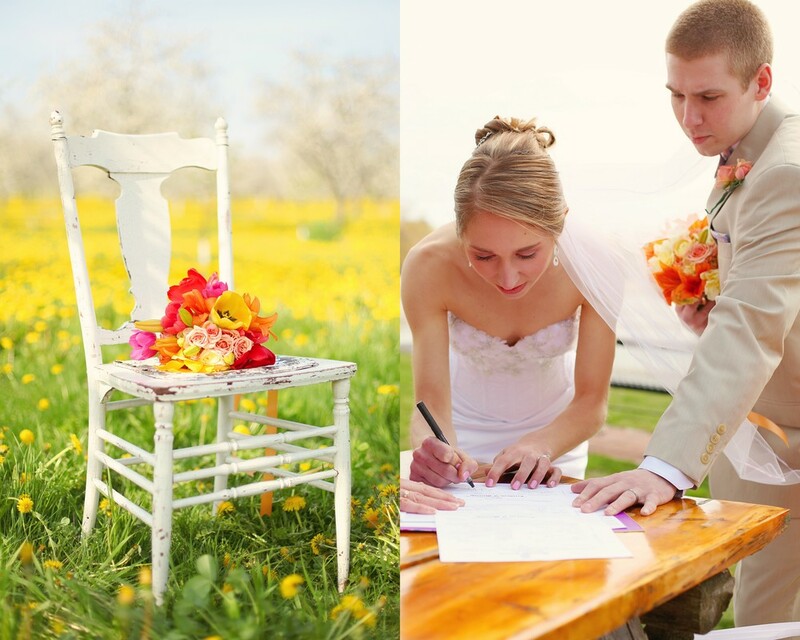 It's about true love, beauty, and creating lasting memories. Nothing is better than seeing a bride's bouquet come together just like the two of you had envisioned, watching the sun break 30 minutes before a spectacular outdoor ceremony and hearing from guests that this is the most fun they've ever had at a wedding. Even at 38 weeks pregnant with swollen ankles and a huge belly to cart around- there is no place I'd rather be than at a wedding. Especially a wedding I've helped form into someone's perfect day. What a blessing to serve a couple leading up to their wedding day. I'll be back later with more details on Amy & Jon's wedding day, but for now enjoy these sneak peaks I posted over on Instagram! Lake Michigan Wedding... Party Time! Tomorrow officially marks the start of Amy and Jonathon's wedding weekend on Lake Michigan and I am squeeling with excitement and anticipation. I've been working with these two lovebirds since September and let me tell you- this is going to be a party! Peach, orange and teal color scheme, big lilies, open water, breakfast for dinner, and surprises left and right. Big balloons, confetti poppers, and mimosas on the dance floor. Even at 38 weeks pregnant and I prepared to put my party hat on and celebrate the future of this fabulous couple. Tomorrow morning I head out to the farm to start working on bouquets and bouttonieres, and from there I'll be heading over to Elk Rapids to start set-up and direct rehearsal. Saturday morning the girls have hair & make-up while I'll be installing balloon backdrops at their reception and putting final touches on their ceremony decor. I can't wait to share more after the event, but for sneak peaks be sure to check in over on Instagram. Amy and Jonathon, I don't even know where to start with you two! You've been an absolute dream couple to work with, giving your ideas and input, but always receptive to my thoughts. I appreciate your kind hearts and positive attitudes. Getting to know your families over the last year has been such a blessing, I can't wait to be a part of your day on Saturday! Well technically it's the Monday morning after, but just go with it. If you were here to read my post on Friday, you'll know that I was gearing up for a crazy weekend of wedding madness. Seth and Renee, it was such a joy to spend this weekend with you. I know your marriage will be a reflection of your wedding day- full of laughter, surrounded by those dearest to you and beautiful in everyway possible. I can't wait for the photos to come back to relive those amazing moments with you both! Congratulations! I'll be back soon with a first look! So many beautiful florals and details to come on the blog. Love to you all!